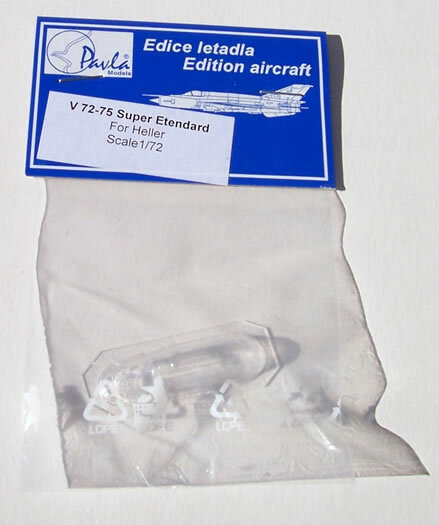 V 72-77 4 x vac-form canopy parts. 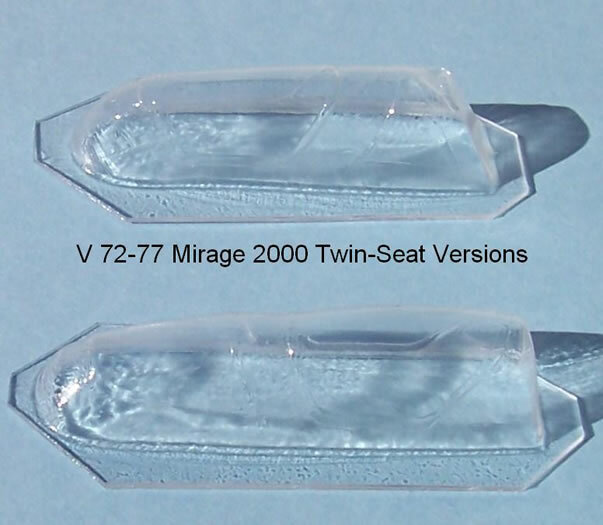 V 72-75 2 x vac-form canopy parts. S 72062 1 x resin piece. None readily apparent, but some may prefer a one rather than four-piece canopy for the Mirage 2000. Good improvements for the Heller Mirage 2000 & Super Etendard. This is a quick first look at two canopies and one ejector seat release by Pavla. Both canopies are well moulded, offering distortion-free clarity and better scale finesse compared to the kit items. However I apologise for the rather indifferent quality of the photos of them taken in low-angle winter sunlight. The canopy is for twin-seat versions of the Mirage 2000, and intended to fit the Heller kits. With some adjustment they might suit the Italeri kit too. It comes in four sections, which may well force your hand to model the canopies open. Personally I favour closed canopies to ones already divided in sections, because it gives the choice of depicting it open or closed. I think it would prove challenging to cut all four sections so well that they could be assembled as a closed canopy. 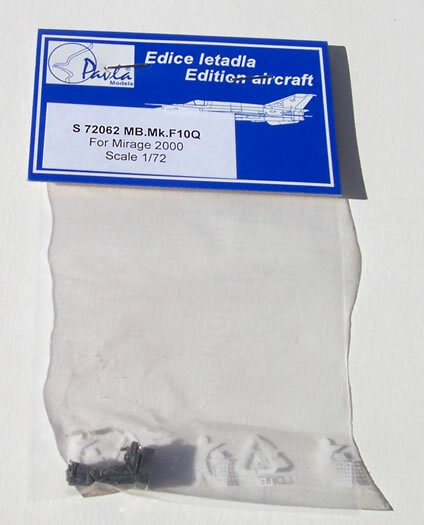 The resin MB F10Q ejector seat is for the Mirage 2000, presumably for all versions, and is produced to a high standard with nice levels of detail. 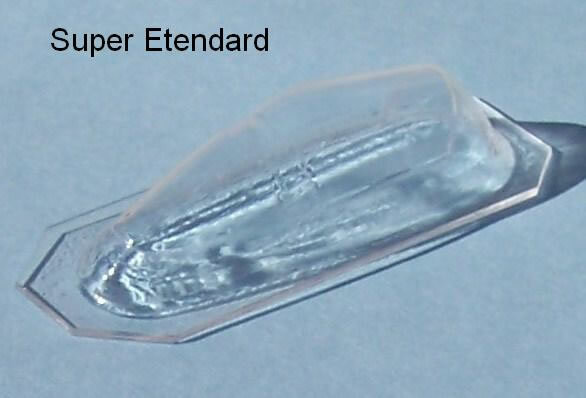 The Super Etendard canopy is again designed to be displayed open, and again it is intended for the Heller kit. 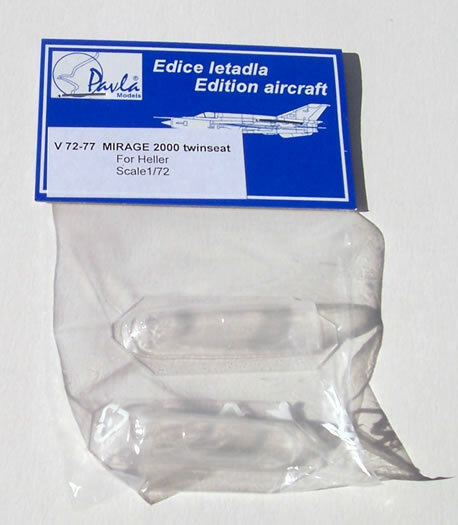 I suspect this may be the less common of the 1/72 Super Etendard kits as there is also the Italeri kit, which is was boxed by Academy as well. 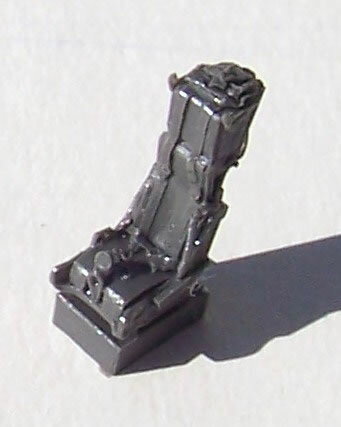 The Academy kit has identical sprues but has “Academy” moulded on the sprue name-plate (This was an early Academy kit and I have previously wondered if it was a copy). The Italeri/Academy kit would be favoured by many for its engraved panel lines. The canopy may be able fit this kit, but some adjustment will be needed as the Italeri/Academy canopy is a little wider than Heller’s (I checked, but did not cut the vac-form out). These items are welcome improvements for the Heller Mirage 2000 and Super Etendard. The seat will obviously suit any brand of kit, and the canopies may be adaptable to other brands as well.